Great way to capture audio/music from your mobile device,MP3 player and record it simply just play it on a Audio system. Ideal for capturing audio/music from your mobile device, MP3 player and record it simply just play it on a Audio system. XLR cables are mostly used for professional sound equipment. This segment of our shop stocks XLR cables that have 3.5 mm connectors at the other end. Buy high quality XLR to 3.5 mm cables from SF Cable, one of the largest audio video cable online shops. 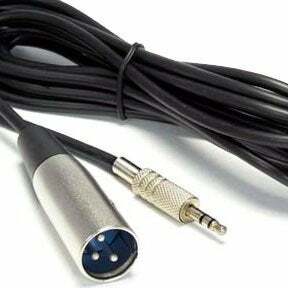 We provide XLR to 3.5mm cables at the lowest price on the internet. Our cables come in different sizes and types like Mono Male Cable & Stereo Male Cable. We offer lifetime technical support for all our products. XLR to 3.5 mm cables cables provided by us are RoHS compliant and environment friendly. We provide 100% customer satisfaction to our buyers with our product quality and after sales support.